Apple may have finally shaken its reputation as an elitist electronics maker now that the masses are buying iOS mobile products. But on the MacBook Pro 2012 side of the business, things are pretty much same as it ever was. One of the details lost with the introduction of Apple's lust-worthy MacBook Pro 2012 with Retina Display is the cost to repair it down the road. Thanks to iFixit, we already know there are no user-serviceable parts in the new 15-inch MacBook Pro - so exactly what will it cost to eventually repair? Apple quietly posted at least one repair cost for the slim notebook, with its larger battery pack costing $199 to replace - and that's before taxes. 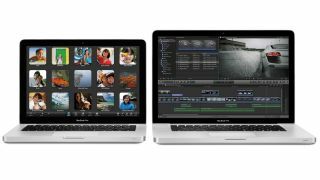 Compared to the same repair for the last-generation 13-inch and 15-inch MacBook Pro at only $129 before taxes, the MacBook Pro 2012 is starting to echo the Macs of the past in terms of pricing. The good news: When the battery eventually does fail, it's as easy as making a Genius Bar appointment, where the repair can be done the same day. U.S. and Japanese customers can also ship it off for servicing and receive it within three to four days. Good thing Apple has already stated the Retina MacBook Pro battery can be recharged 1,000 times before it will start to lose a charge, which works out to about two years and nine months for those of us who recharge daily.